KISS Packaging Systems Inc. model SPDF-12-ROP positive displacement pump filler. The filler has 12 heads and pumps, has a viscosity range up to 18,000 cps, and is capable of up to an estimated 120 cpm depending on container size and product. 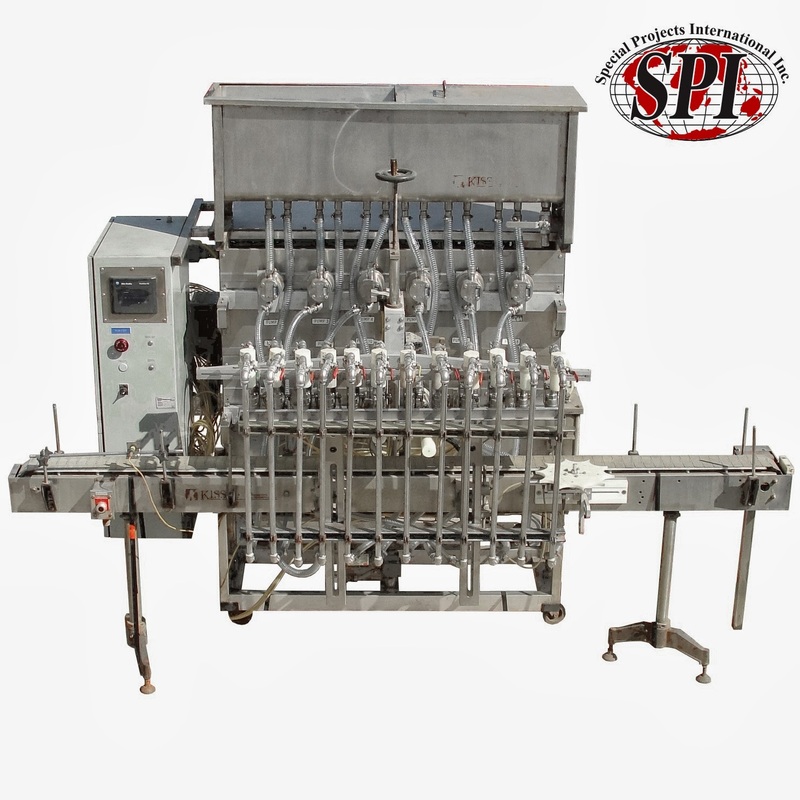 The filler heads have brass nozzles and are movable to accommodate different size containers. The filler has been modified to include 12 filters, one for each head. The filler primarily consists of stainless steel contact parts. Requires 220/240 vac 3 phase electrical supply and 120 psi @ 6-12 cfm air supply.